Healthy, tail slapping humpback sighted in front off the Dutch coast of Castricum.Imares has spotted two animals since december 2.One of the animals was probably the unfortunate stranded humpback. A large humpback whale was on Thursday spotted swimming in the sea off the coast near Castricum by scientists with the Imares marine research institute. The whale, a 12-metre adult, was some 1.5 miles from the shore. It looks healthy, was ‘relaxed, using its blow hole and eating’, said the�Imares�researchers, who were counting sea birds. 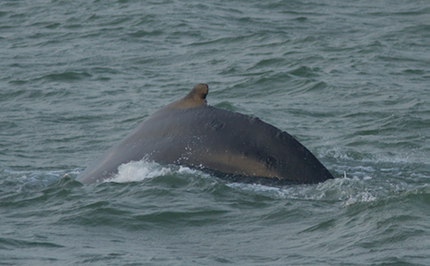 According to the Dutch lifeboat association, the humpback may be with a small calf, which is keeping very close. Last weekend, an adult female humpback died after becoming stranded on a sandbank off the coast of the Wadden Sea island of Texel. A dead sperm whale also washed up in the same area. A spokesman for marine research organisation Ecomare told Nos television it is important to leave the whale in peace. 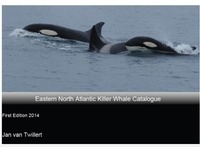 Imares said the current spate of sightings of large marine life is very special. 'It is unique to have seen humpbacks, one sperm whale and two ocean sunfish within a week,' the organisation said.